Bravery, strength, and adventure are some of the reasons why everyone loves a good story about the Vikings. 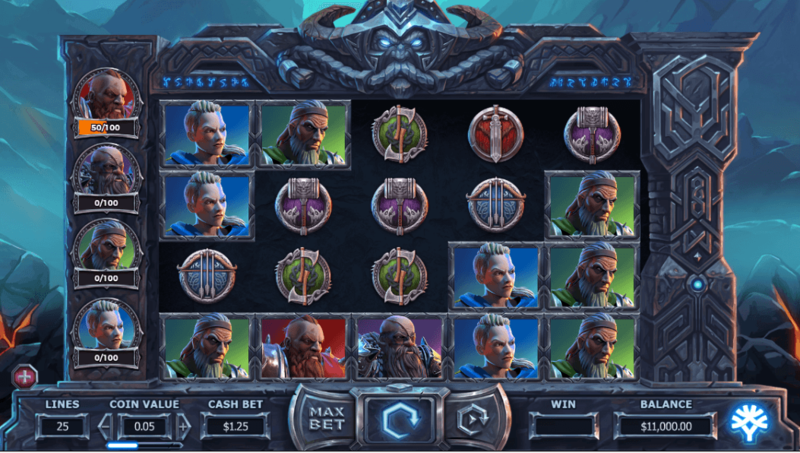 Slot players who love such character traits would always want to find the best Viking themed slots to play online, and that is why we have compiled this list of Top 5 Video Slots with Viking Theme for the benefit of MoneyReels players. We have taken in to consideration many factors such as graphics, entertainment value, features, and rewards as well as user comments. Although we have ranked them based on all those factors you can select your favourite according to your taste. You can also send us your comments so that your opinion would matter when we compile our top 5 lists in the future. With a touch of extra entertainment as an animated comic design, Viking Fire online slot tells you the story of Viking life in the village. 5 reels and 40 paylines in the Viking Fire rewards you at a rate of 95.40% which is not a bad RTP. The Hammer Wild substitutes all standard symbols while carrying a prize of its own up to 1500 coins. Free Spins add extra chances of a win while the Gamble Feature lets you test your ultimate luck. 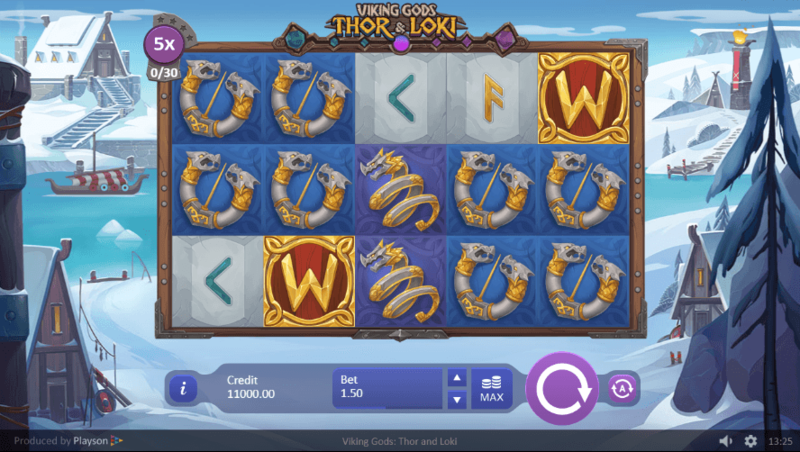 Excellent graphics coupled with great features are what you would find in the Viking Gods: Thor and Loki slot machine. You may be awarded 10 Free Spins and it could be Thor or Loki. In the Thor Free Spins the guaranteed World Serpent Wild will grow 4 levels up in size into a Colossal Wild. At each new level you are awarded additional Free Spins. If it is the Loki Free Spins you won then you will land Sticky Wilds that would progress into higher levels. There is also an achievement feature that comes with additional Free Spins. 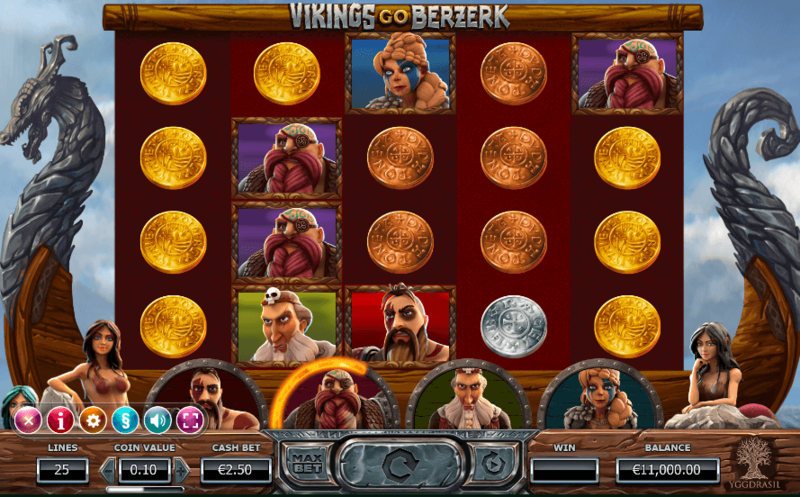 We have included this game in our list of Top 5 Video Slots with Viking Theme. Meet the warriors on their voyage to war in Vikings Go Berzerk slot that comes with a healthy RTP of 96.1%. There is a Scatter that awards 7, 14, or 21 Free Spins, and the Viking Rage Meter will award you more Free Spins when it fills up. The Ragnarok Free Spins feature comes with even more Free Spins as you progress. Many bonuses, great rewards, and entertainment value were the reasons why this slot machine made it to our list of Top 5 Video Slots with Viking Theme. With 5 reels and 5 rows of symbols that pay you on 25 paylines, Vikings Go To Hell slot machine has many features that would keep you playing for many hours. You will be rewarded at an RTP of 96.1% while a top multiplier of 3000x would be great news for anyone. There are Free Spins that come at 2 levels, and Sticky Wilds that make your winnings even bigger. The Free Spins winnings will be paid 3x if you manage to defeat Lucifix in your fight during the Free Spins. Vikings Go To Hell in order to make you richer. This 5 reel 4 row video slots game pays you at an above-average RTP of 96.30% but there is more to this slot than a generous volatility. The Treasure Chest, when appears in the base game, will offer you up to 1000 coins together with 8 – 12 Free Spins, and if it appears during the Free Spins it will award 2 – 4 additional Free Spins and up to 1000 coins again. Or if you land Pirate Ship Scatter symbols you will be able to win up to 24 Free Spins during which the symbols maybe attacked by sea monsters. Generous prizes and the entertainment it brings were the reasons why the Vikings Go Wild online slot made it to our list of Top 5 Video Slots with Viking Theme.